We understand that every family situation is different. Our attorneys will work closely with you to understand your unique goals and develop strategies to meet them. The Law Office of Michael J. Hall, LLC, Attorneys At Law, have the requisite knowledge, experience and dedication to timely and properly handle your personal injury claim. Our office has handled thousands of Successions for all kinds of constituents throughout the entire Southeastern region in Louisiana. The Law Office of Michael J. Hall, LLC provides litigation counsel, advice, and support to local governmental agencies and regional companies. 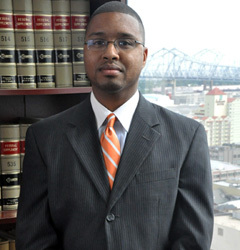 We serve as a law firm of choice for families throughout the New Orleans area. Many of our clients come to us originally for help with a specific problem – and then return to us throughout their lives when new legal questions arise, seeking high-quality and trustworthy advice and legal representation. At the Law Office of Michael J. Hall, LLC our practice is characterized by experience, aggressive representation of our clients, substantial legal knowledge, creativity and a sense of humor. Our legal skills and years of experience and success allows us to provide all of our clients with an arsenal of specialized strategies and all of the resources and equipment required to obtain the best results possible for their cases. Our attorneys are as involved and committed as you – our client – are to successfully resolving your case. Our legal skills and years of experience and success allows us to provide all of our clients with an arsenal of specialized strategies and all of the resources and equipment required to obtain the best results possible for their cases. At the Law Office of Michael J. Hall we consider customer satisfaction to be as paramount in importance as our ability to secure your recovery. We handle all of our cases with integrity, sensitivity, and with our best efforts.